Hydrated alum is one of the additives in the dosa solution used for sizing washi and silk canvas supports, etc. in Japanese painting. 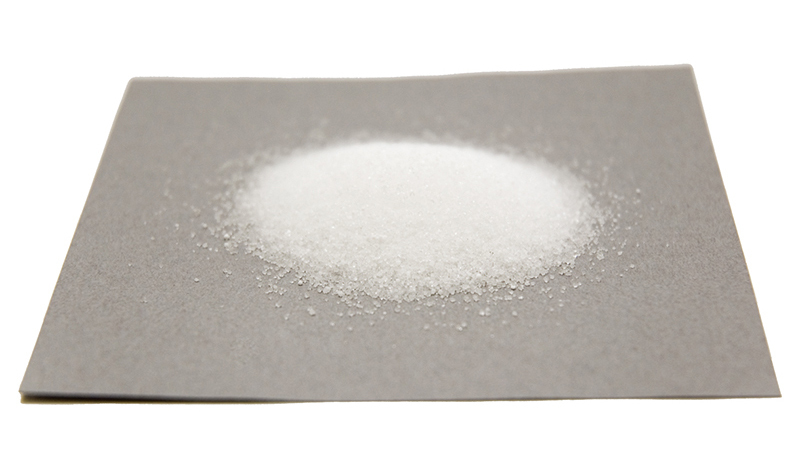 Hydrated alum is a material that has long been used in a number of applications including dyeing and the elimination of odors. 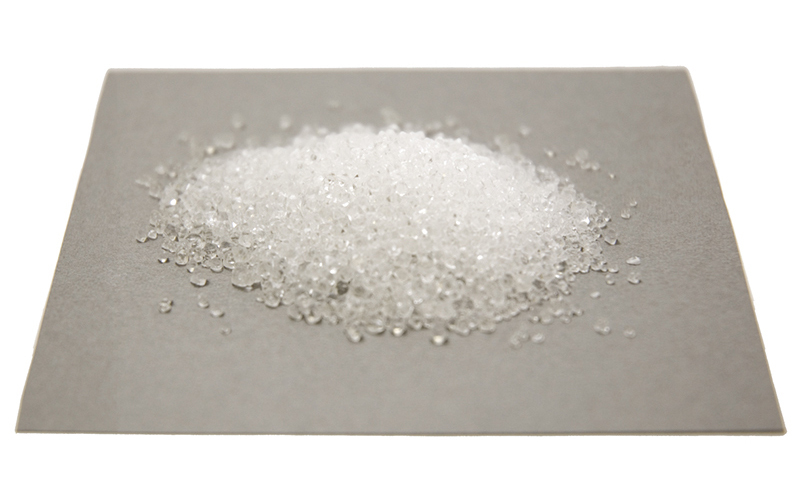 The aluminum potassium sulfate component is generally regarded as a pharmaceutical and is also often used in cooking. When heated, it loses its crystalline water and becomes exsiccated (burnt) alum. Because exsiccated alum is not suitable for dosa, hydrated alum is used. It comes in powdered and granular form, depending on the art supplies store. When using it in granular form, it is best to grind it with a mortar first.